Surrounded by the grand Himalaya Ranges, Tibet and Nepal stay in close with each other in many aspects, such as mysterious Buddhism, complex geography, and grand high mountains. While the traditions and customs in the two countries have their own characteristics, and the best way to explore those unique elements is to travel from Lhasa to Kathmandu. Where to go and what to see have become two main questions raised by travelers. Lhasa and Kathmandu are both the capital city of the two countries with many must-see attractions for tourists. There are lots of famous scenic spots which are worthy of being recommended to you along the way: Potala Palace, Jokhang Temple, Drepung Monastery, Barkhor Street, Sera Monastery, Ganden Monastery, Boudhanath Stupa, Pashupati Nath, Swayambhunath Temple, Kopan Monastery, Pashupatinath Temple, etc. At present, there are two main ways for travelers to get to Kathmandu from Lhasa, by air or by an overland tour. Taking flights to Kathmandu from Lhasa can see the summit of Mt Everest if the weather permits. Taking an overland tour via Gyirong port is the best way to enjoy the stunning landscape and natural views. 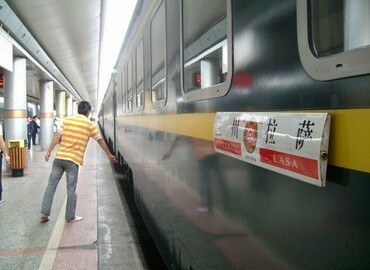 The former way is always taken by the tight-schedule travelers, while the latter way takes more time on the road. As a trustworthy travel agency, we at Great Tibet Tour has designed numerous Lhasa to Kathmandu tour packages by flight or overland. No matter which way you prefer, you could find a desirable itinerary planned by us. Or we can tailor-made your Lhasa to Kathmandu tour itinerary. Great Tibet Tour is waiting for you at any time. Lhasa to Kathmandu Biking Tour is a wonderful journey with breathtaking views and amazing cultural experience. You would first need to fly to Lhasa for acclimation of 2 days in Lhasa city and then bike towards the Everest Base Camp via serene Yamdrok Lake, and the way back to Kathmandu. Are there suitable times to travel? Yes, the best months for you to have the Lhasa Kathmandu overland tour will be April, May, October and November. Why? Well, Nepal and Tibet attract tourist globally through its wonderful cultural heritage. These are the periods in which the pilgrims pay homage to Buddha in Tibet or the Hindu visit their temples. 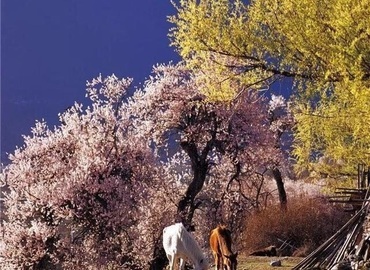 If you want a full Tibetan experience, then you should visit the country in the stated months. The second reason is that the sky is generally clear in the months of April, May, October and November. This gives you an opportunity to view the scenic Himalayan Mountains. Clear skies mean there will be good temperature and nice cool breezes. The monsoon rains pour down the Kathmandu valley in the months of June through to September hence making the route inaccessible. 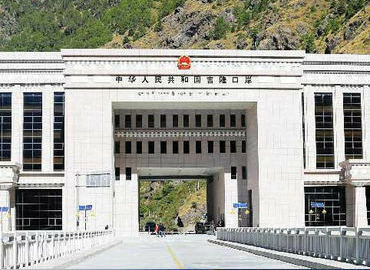 The Tibetan border closes between February and April blocking the route to all foreigners. What travel documents should I pose? Well, since you are a foreign traveler entering China, you will be required to obtain a Chinese Visa which will grant you entry into China. 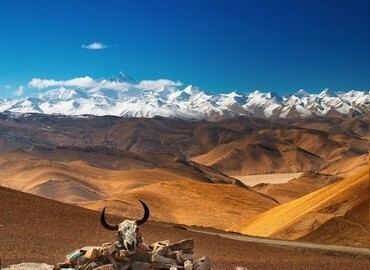 You are also required to get a travel permit to Tibet, which is part of China. Worry not as we will offer you support in the acquisition of these documents. Is there a tour from Kathmandu to Lhasa? Yes, there is Kathmandu to Lhasa tour. The only challenge is that Lhasa is located at much higher altitude than Kathmandu. A reverse tour, Kathmandu to Lhasa is easier to lead high altitude sickness as it involves ascending for most of part of the tour. However, we organize for these reverse route tour according to the trip plan of our clients. What is the best way to do the Lhasa Kathmandu Tour? There are several flights from Lhasa to Kathmandu which takes less than two hours. 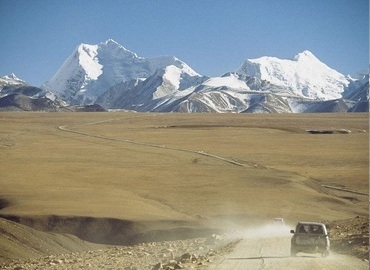 The best option for tourists is to take a road trip as the friendship highway between Lhasa and Kathmandu is regarded as the most beautiful road in the world. This overland tour will give you an opportunity to make many stops on the way and explore the magnificent culture.